The Romanian startup Knotch, based in San Francisco, just announced that it secured a 1.5 million dollars in new funding. The round was led by by Michael and Xochi Birch – the founders of Bebo, with additional contributions from Avadis Tevanian – a former top Apple technologist, Lars Rasmussen – a Facebook engineer who helped create Google Maps when he worked at the search giant, the venture firms Greylock and Lightspeed, and others. The news was first mentioned in The New York Times, Tech section (read it here). 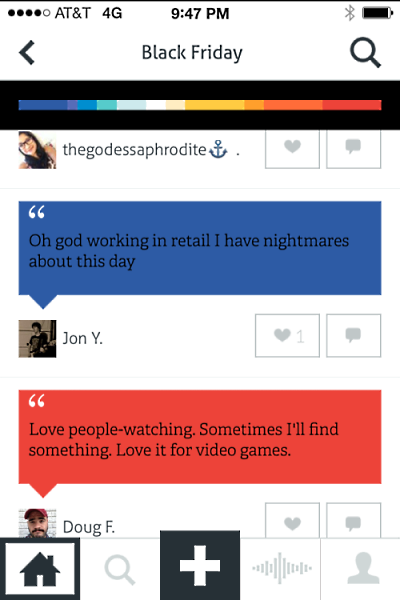 Knotch (the iPhone app) is a fun and simple way to capture and share their opinions on the world (in colors) with their friends and followers. To brands, artists, politicians, etc, Knotch is a source of accurate & structured sentiment data on topics relevant to them. With a Twitter-like following model in play on the social side, Knotch allows you to see what your friends are sharing, as well as the topics trending across the network itself. The team at Knotch (founders Anda Gansca – Romanian – and Stephanie Volftsun) also told that Knotch will be available on the web as well (you can sign up on the waiting list here). 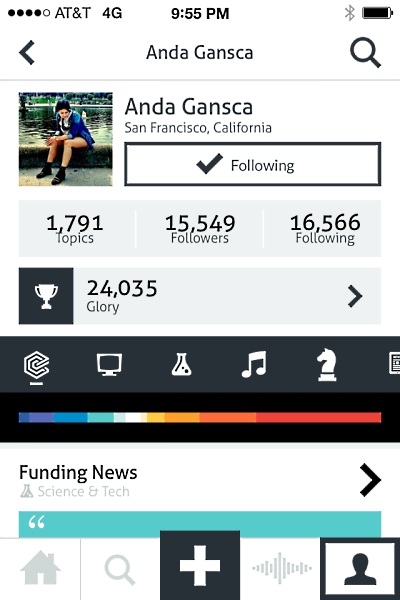 Good luck, Knotch, in making this new social network into something big!